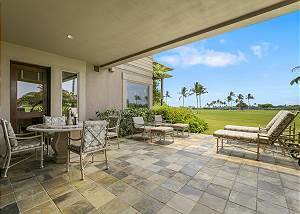 Outstanding location just minutes to the Four Seasons with a beautiful ocean view beyond the 15th hole of Hualalai Golf Course. Bright, spacious and comfortable with short walk to the ocean. 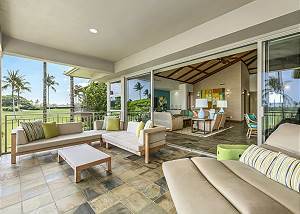 Garden level 2 bedroom, 2 bath villa overlooking the 15th Fairway of the Jack Nicklaus designed Hualalai Golf Course. Master bath features Hualalai's signature outdoor garden shower. 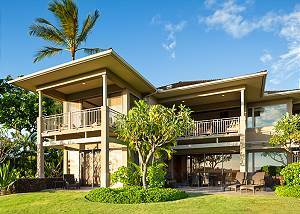 This recently refurbished two bedroom, two bath villa is ideally located near the Four Seasons Resort Hualalai in the exclusive Hillside Community. A short distance to Golf, Spa and the beach front, it is perfectly suited for every traveler. 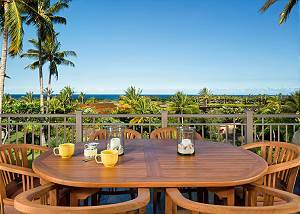 Three bedroom town home villa is sited on a bluff overlooking the Hualalai Resort with Pacific ocean and sunset views. Two floors of elegant, tropical furnishings provide large living space to enjoy the Resort within minutes of the Four Seasons Hotel. 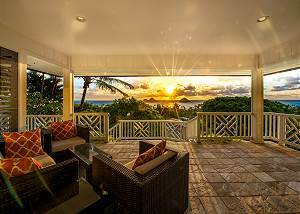 Enjoy golf and ocean views in this spacious three bedroom villa just minutes from the amenities of the Four Seasons Resort. 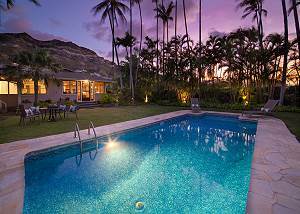 Recently refurbished and updated, this villa is the perfect getaway for enjoying all Hualalai Resort has to offer. 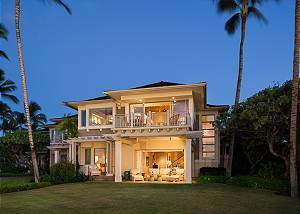 One of the most spacious villas at Hualalai at nearly 3000 sq ft, this spectacular 3 bedroom, 3 bath split-level town home is ideal, as it features two living spaces with a large lawn extending beyond the lanai. 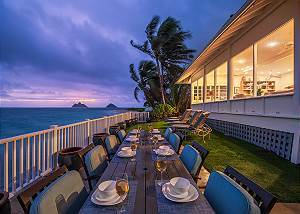 This spacious 3 bedroom, 3.5 bath single-level villa is centrally located on the Resort’s popular Waiulu Street overlooking beautiful Punawai Pond, the 5th Hole of the Member’s Ke`olu Golf Course and the ocean beyond.